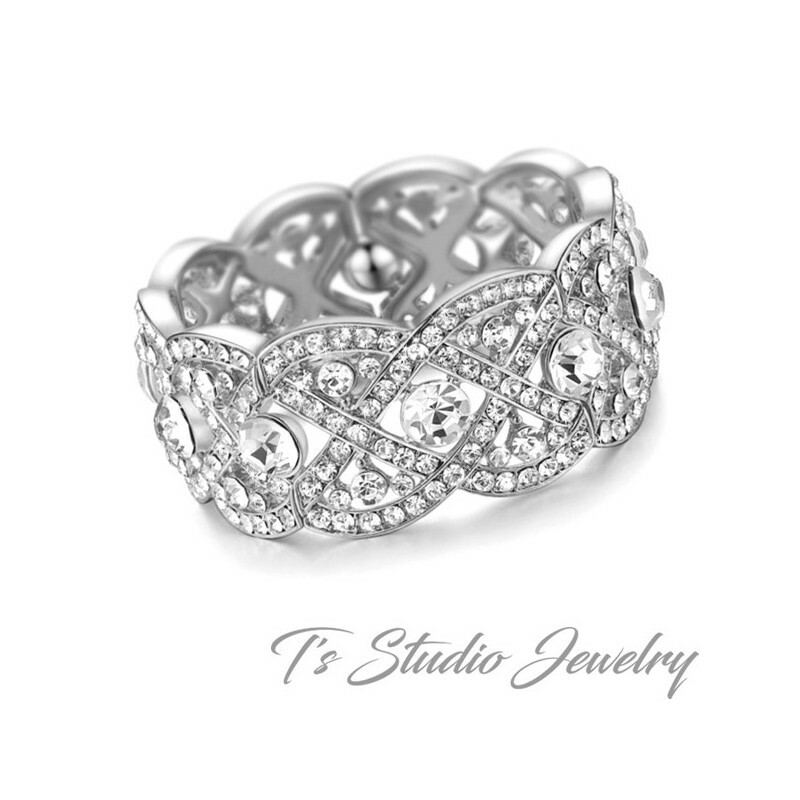 This beautiful bracelet is a stunning stretch style rhinestone crystal cuff bridal bracelet. 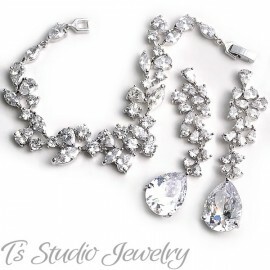 It is made on a silver plated base, that is encrusted with tons of sparkling clear crystals. 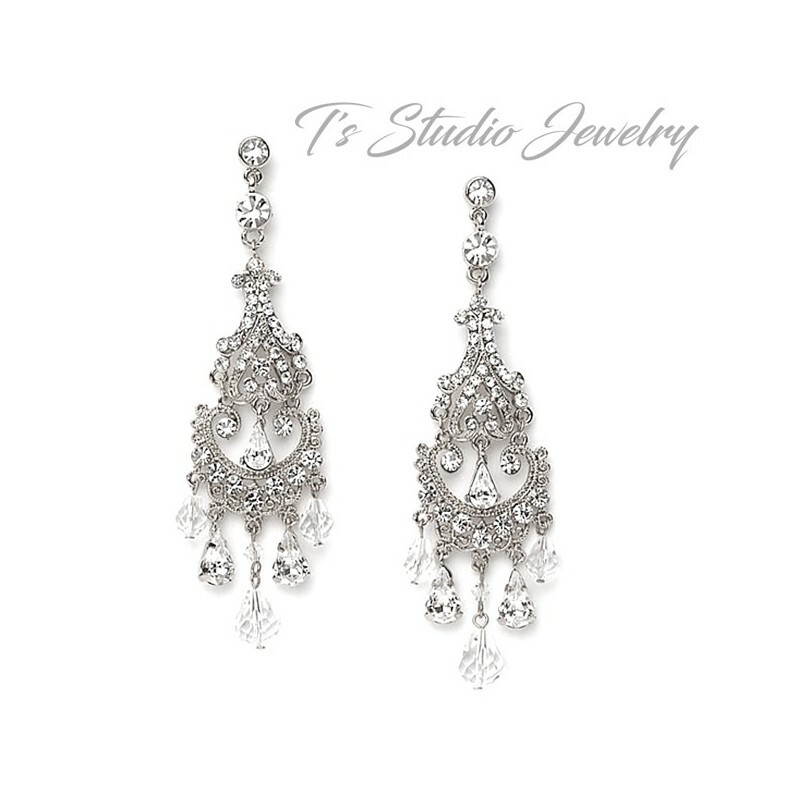 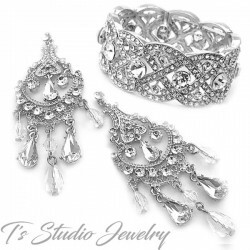 The matching earrings are large chandelier style, with clear crystal and rhinestone drops.